Sunday August 26, 2018 - President Uhuru Kenyatta arrived in Washington DC in the U.S. for a visit which will see him meet American leader, Donald Trump. Uhuru is expected to hold talks with Trump on Monday that will be focused on trade and security in the East African region. “I will also meet executives of top US companies to promote Kenya as a preferred investment destination,” President Kenyatta said. He was received by Kenya’s Ambassador to the U.S. Robinson Githae, Cabinet Secretaries Monica Juma (Foreign Affairs) and Henry Rotich (Treasury) as well as Majority Leader of the National Assembly, Aden Duale, and immediately ushered into the Hay Adams Hotel alongside First Lady Margaret Kenyatta from where they would be staying. 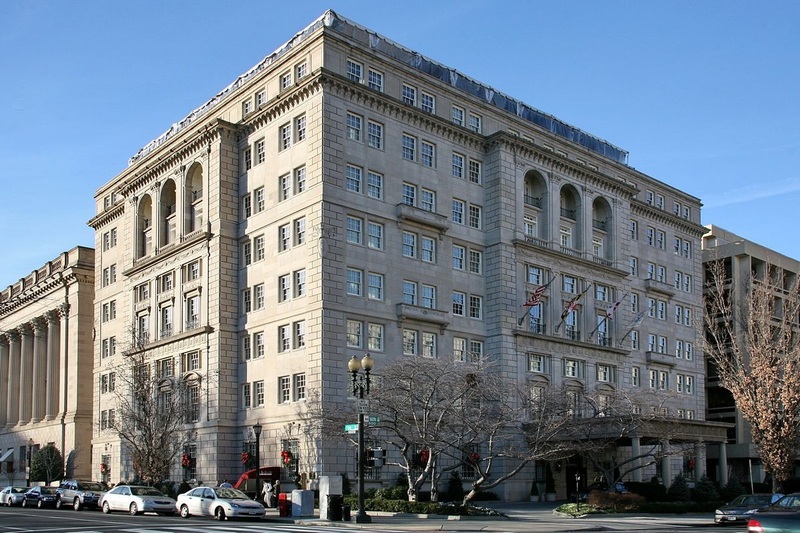 The luxurious bullet-proof 5-star Hay Adams Hotel is located on Lafayette Square, just minutes from the Smithsonian and the Washington Monument. The hotel was named No. 1 top hotel in Washington DC and No. 5 best hotel in the U.S in the Condé Nast Traveller Readers’ Choice Awards last year due to its fortified nature and the high level of security around it. “It is an Iconic 5-Star Luxury Hotel in Washington, D.C…where nothing is overlooked but the White House,” reads the hotel website. Hay-Adams Hotel has 145 rooms and 21 suites that costs between $368-579 (Ksh.37,000-58,000) for a standard room per night. However, Uhuru and Maggy will be staying in a Luxury One Bedroom Suite Lafayette Park View that has a Kingsize bed and costs an average of $1,839 (Ksh.185,279) per night.